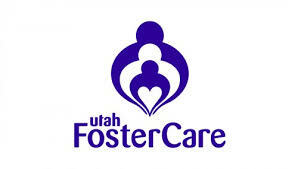 Foster families who have adopted in the Northern Region will benefit from a new respite program sponsored by the Family Support Center of Ogden. Camp OWL (“Owlets We Love”) is a Weekend Respite Camp for children who have been adopted from foster care. “Camp” will provide fun activities, food and interactive learning opportunities by staff who are trained in behavioral and trauma specific behaviors. Camp OWL is open to ages 0-17 with activities for all ages. During the time children are at The Family Support Center they will be provided with healthy meals and snacks, fun activities, learning opportunities, and an environment that promotes healthy relationships, friendships and resourcefulness. While kids are at camp, it will provide the family an opportunity to take a respite break and recharge. Families are encouraged to take advantage of the entire weekend in order to get a break and allow their child to participate in all the activities. There will be a short and fun awards ceremony at the commencement of the weekend for families to join in celebrating their child! If you live in Northern Region and are interested in having your child attend Camp OWL, please read the information under “CAMP OWL INFO” below. If you are interested in finding respite care or other free services and resources provided by a Family Support Center in your area, please click on the following link: http://utahfamilysupport.org/find-a-center/. In addition to providing post-adopt respite care and crisis nurseries, Family Support Centers across the state offer parenting courses, social skills classes for children, and may operate lending libraries and therapeutic services. Step 1: Email or call Katy at 801-393-3113 or fsco.katy@gmail.com to register. Step 2: Contact your post adopt worker to ensure you have funding to pay for camp. The cost is $165 per weekend per child. Step 3: Once it’s approved through post adopt, Katy will send registration forms via email to be filled out and returned 7 days prior to camp start date. · This particular pilot program is currently only open to the Northern Region at this time and is for children adopted through foster care. · Check in will be on Friday afternoon between 4-5:00. Parents will pick up their campers on Sunday at 1:30 and stay for a short closing ceremony. · Scheduling will be done directly with Katy to ensure that she has information regarding kids, behaviors, special needs/requests and to staff appropriately. · All registration information will be filled and sent to Katy before the children arrive at camp. · Cost: $165 for the entire weekend. Please contact your post adopt worker for grant funding. They will pay the Family Support Center directly so there is no out of pocket expense for the family. · Campers will be on a merit based program and will earn rewards to show to their family upon pick up. (Based on 5 Protective Factors). Families are encouraged to stay and participate in closing ceremony. · Parents are responsible for any damage caused by the camper. · Camp is not intended to be a punishment, but to support families in self-care and planned respite time. We encourage parents to view this as a positive experience and not as a threat for poor behavior. I have heard from RFC’s and foster parents that relicensing is harder due to the vaccination and CPR training requirements recently added. Let me help make this simple for you . . .
JUST SO YOU KNOW ONLINE CERTIFICATION COURSES ARE ACCEPTABLE and you can take a totally free course at the following website: http://www.firstaidforfree.com. If you use this site, please take the “basic fist aid” AND “Basic CPR” courses. They are separate courses and you will need each one to get licensed. Once you are done with your training and you download your certificates, send a copy to your licensor (OUR NEW FAMILIES ARE CHOOSING TO USE THIS SITE AND GETTING LICENSED WITHOUT DELAY). Check it out; you will be glad you did. If you don’t like this site, choose another and pay a small amount if that will make you feel better. Each person living in the home will need to verify current immunizations. The Office of Licensing (OL) requires the following vaccinations for adults: Tdap, MMR. Hep A, Hep B, and Varicella (if you have had chicken pox you will not need this one, just let your licensor know you have already had chicken pox). If you cannot find the verification forms for all members (kids are easy, the adults tend to have a hard time finding them) or if you simply choose to not be vaccinated, don’t worry, you have options. Your doctor can do a blood test to check for some of them but you may have to get others redone. They can either check the box on the application form that says you are compliant OR they can submit a letter from your doctor’s office stating the same. You could also choose to simply get all of the required vaccinations redone and then submit the current shot record or verification letter reflecting the re-administration of the required vaccinations as noted above. The final option is to not get re-vaccinated or provide proof of the vaccinations- however, doing so will limit you from taking un-immunized children AND babies under 2 months old until OL gets documentation. CPR and Vaccinations are just that simpole . . . don’t believe me? Contact your licensor today and let them tell you how easy this really is! *This information originally appeared in the February & March 2017 Foster Roster and has been reprinted with permission. Foster parents are often the best source of support for other foster parents. If you haven’t already, get to know other foster, adoptive, and kinship families in your area by attending Cluster Meetings and Trainings organized by Utah Foster Care according to what region you live in. To learn more about cluster groups refer to your current Foster Roster in the mail or online. Cluster Groups also have private Facebook groups which you may join by contacting a Utah Foster Care regional staff member in your area. For your convenience, here is an updated list (as of July 2017) of Cluster Facilitator Contact Info for ALL Regions.